A stunning 30 acre ranch short term rental and event space situated atop the rolling hills just 10 min east of downtown Paso Robles. Surrounded by award winning wineries, picturesque sunsets, hundreds of moss covered oaks, hiking trails, swimming pools, a tennis court, outdoor kitchen, pergolas, banquet table for 50+, & panoramic views of rolling hills & vineyards as far as the eye can see. The main house, a spacious 4 bedroom, 2.5 bath 4,000 sq. ft ranch home, features a large kitchen with a formal dining room perfect for parties or family meals, stylish contemporary decor, & luxurious resort style amenities. 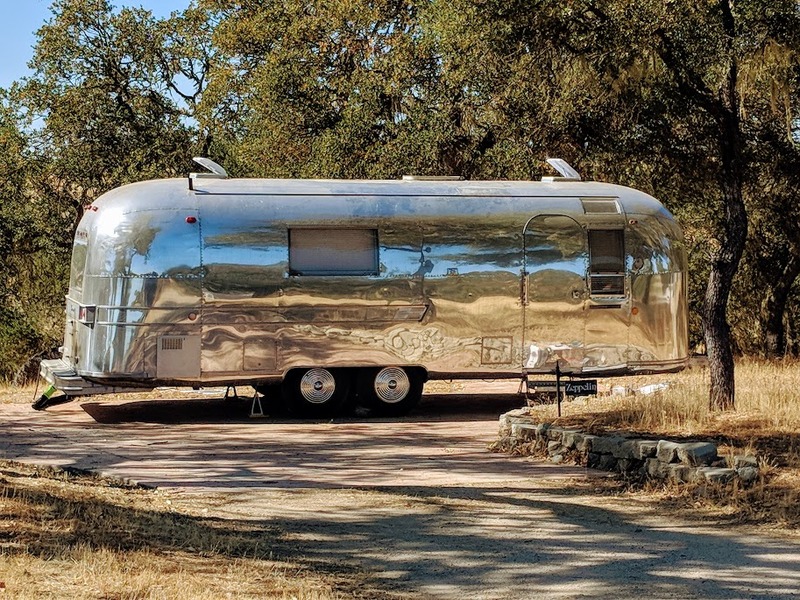 The property also features a 1x1 guest house with private deck, pool, and views, and 3 restored, stylishly designed, and fully equipped vintage trailers named after legendary musicians, "Bowie", "Janis", and "Zeppelin". The Windwood Ranch sits on an oak covered plateau above the award winning wine country of Paso Robles, CA. The 30 acre property boasts incredible sunset views from innumerable vantage points. For over a century the land was known as the Dresser Ranch, owned by one of the early pioneers of San Luis Obispo county. To the West is the Santa Lucia Range, and just beyond the famous Hearst Castle, Big Sur, and the Pacific Ocean. Tom Petty spent the night on the ranch in 1986 after headlining and closing out the Mid State Fair with living legend Bob Dylan. Today, Windwood Ranch is a peaceful and magical place to stay whether you're interested in the luxurious accommodations of the ranch or guest houses, or want to "glamp" in style by staying in one of our vintage trailers or luxury tipis. The property is perfect for private events, weddings, and special occasions. No matter your pleasure, the magical property is full of comforts and amenities, but in tune with nature under the oaks, stars, views, and witness to unbelievable sunsets. We are less than a mile from top wineries, a 5 minute drive to hot springs, and boast enough natural beauty and amenities to never leave your site.